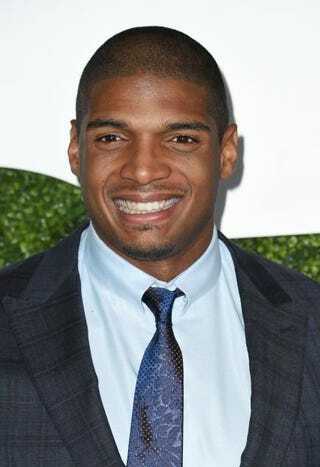 He may not have fulfilled his dreams of having an NFL career, but Michael Sam has found another job. According to TMZ, Sam is headed to ABC’s Dancing With the Stars. Sam has been a free agent since being released by the Dallas Cowboys from the team’s practice squad last season. Previously he was drafted by the St. Louis Rams but was cut during the preseason. Last year Sam made headlines when he became the first openly gay player drafted into the NFL. Sam now joins a long line of NFL players who have proved they can dance with the best of them. Both Emmitt Smith and Hines Ward won their DWTS season, while Jerry Rice, Warren Sapp and Jason Taylor all came in second place during theirs. Although the season starts taping in March, it won’t prevent Sam from going after his NFL dreams. Sam said he has plans to participate in the NFL’s first veteran combine March 22.